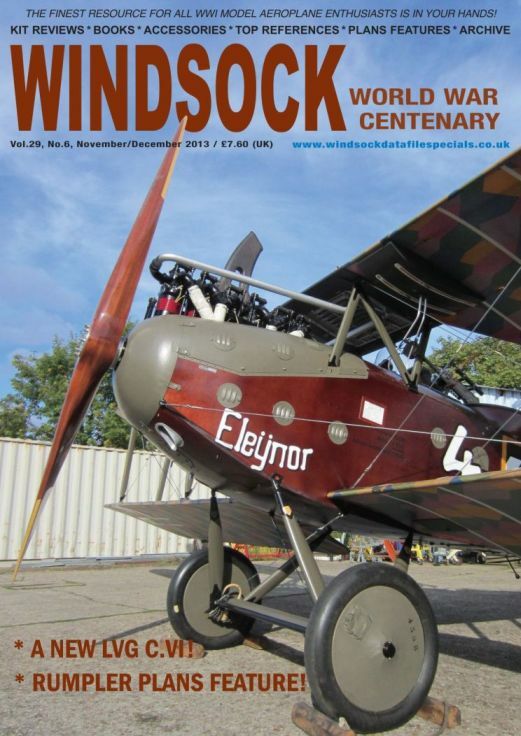 Elsewhere, the Fokker D.VII in colourful post-war liveries is this edition's Great War Paint contribution offering some great alternative schemes for the WWI classic.Our November/December number also includes assessments of decals, accessories, kits and figures,including reviews of Wingnut Wing's latest Eindeckers. The spectacular MFA/TVAL LVG C.VI makes its debut and we have exclusive photo coverage of this beautiful airworthy repro'. All this and more in WS 29/6!